Shepherd – Coming VERY soon now! | They Can't All Be Zingers! Shepherd – Coming VERY soon now! We’re all very excited over at Infinite States Games at the moment as we’re putting together the final bits for Shepherd. Protect your flock from evil, carnivorous aliens intent on stealing them for supper! Classic fast-paced, old-school arcade action. Game Center compatibility (achievements and online high scores). Endless power up system rewarding skill with increased killing capability. Skill-based multiplier system adding rewarding depth to the scoring. Multiple enemy types, each posing a different threat to your herd. 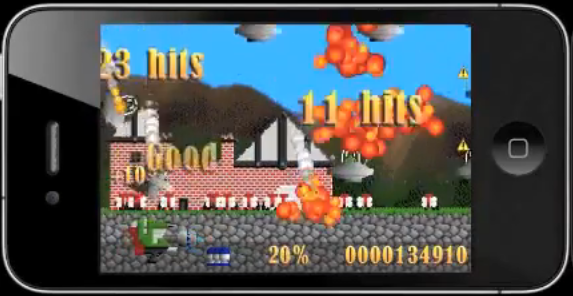 Destructible terrain conceals additional power ups and bonuses. Main game and score attack modes to compete against your friend’s scores. Devastating smart bombs for when things get too much. Simple and easy to use control system.